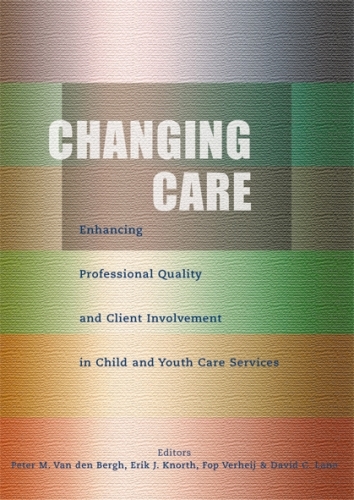 Enhancing professional quality and client involvement in child and youth care services. ï¿½(ï¿½) this book will give the reader many fresh ideas to go on with the hard work with children and families in need of careï¿½ (Wim Kok, FICE NETHERLANDS). Child and youth care is changing in many countries. Gone are the days in which offering care to children and young persons with serious psychosocial and behavioural problems was seen as self-evidently ï¿½goodï¿½. Today, increasing demands are placed on the quality of the care that is offered. The field of child and youth care has become a social domain, in which standards based on policy, drawn from different professional groups, and grounded in an understanding of the latest theory and practice, determine what is considered to be ï¿½good practiceï¿½. 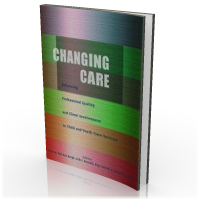 This book, linking the quality concept with four components of care (organization, method, attitude, communication: OMAC), is about this development. The first part of the volume ï¿½ quality enhancement ï¿½ contains contributions in which methods are described intended to enhance the quality of child and youth care services, especially focusing on organizational and methodical aspects. In the second part ï¿½ empowerment ï¿½ the emphasis is on the position of the client and the way in which communication takes place in child and youth care services. The modern system of care takes clients (children, young persons and parents) seriously as partners who are experts in their own situation, and focuses on their skills and possibilities instead of on their problems and limitations. The third section ï¿½ family involvement ï¿½ offers an exploration in depth, using a number of clinical programmes or cases. The important position of the family is a characteristic of child and youth care services. In this section a set of five family-oriented programmes is discussed ï¿½ the first two in a preventive field, the next three in a (residential) treatment field. In the final section the attention goes to child and youth care developments in a part of the world about which still precious little is known: Eastern Europe. The expertise of more than thirty contributors from different countries ensures the value and usefulness of this book for practitioners, policy-makers, researchers and students in the field of child and youth care. .